The Vermont House is expected to appoint its first-ever ethics committee this week, according to House Speaker Shap Smith (D-Morristown). The panel will be charged with investigating complaints of ethical violations committed by House members and will be empowered to recommend disciplinary actions to the body as a whole. The five-member committee will also oversee the creation of a new, online database disclosing members' employment and board service. "This is a pretty big departure from the past," Smith says. "It's not everything that people wanted, but I think it's a good first step." The panel, which is to be appointed by the House Rules Committee, will include Reps. Donna Sweaney (D-Windsor), David Deen (D-Westminster), Linda Martin (D-Wolcott), Larry Cupoli (R-Rutland) and Sandy Haas (P-Rochester), according to Smith. The tri-partisan committee could be formally named as soon as Wednesday afternoon. Ethical issues loomed large last year after retired Wall Street banker Bruce Lisman and the advocacy group he founded, Campaign for Vermont, proposed a far-reaching set of recommendations for increased disclosure within state government. In response, Smith appointed Sweaney, who chairs the House Committee on Government Operations, to lead a group studying the House's policies. 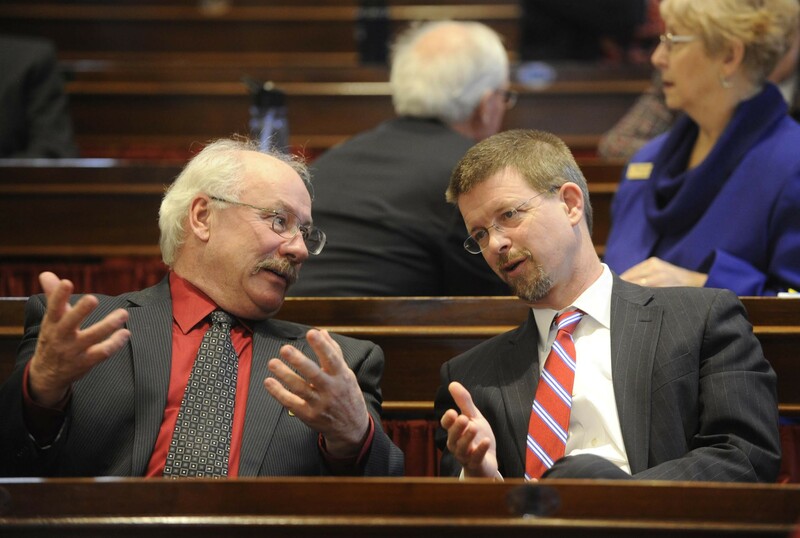 In April, the House passed a resolution proposed by Sweaney's group authorizing the creation of an ethics committee. The resolution called on the panel "to advise individual members and provide training to all members on ethical conduct" and to "receive and investigate complaints of alleged ethical violations made against members of the House... and to recommend to the House any disciplinary action against a member for an ethical violation, if the Panel deems it necessary." The resolution also required House members to submit a form to the House clerk disclosing the names of their employers and "any boards, commissions or other entities on which the member serves," a description of the member's position on such boards and whether he or she is paid. According to Smith, the clerk's office is currently drafting the form lawmakers will be required to complete. He says he hopes the information will be available online by the end of January. Smith says his decision to change the House rules was not prompted by any particular incident. "There have been persistent calls for more financial disclosure and more clarity around conflict of interest," he says. "And the appointment of [Sweaney's study group] was really in response to the concerns that have been articulated and an effort to figure out what steps we should take to give Vermonters confidence that we operate in an ethical manner." Smith says one of the first actions the committee will take is to determine what disciplinary actions it can recommend. He says censure by the House would likely be among them. The Vermont Senate has taken no action to create an equivalent panel governing its members. “It’s great to see it coming together,” says Campaign for Vermont executive director Cyrus Patten, calling the creation of the panel “a good, incremental step” toward the group’s broader recommendations. He says he hopes the Senate will follow the House’s lead.